Developing a concept for a hair show, you need a few key elements. You need a vision and an inspiring team. I have the fortune to be able to work with Cristiano Cora who opens up your imagination and take the vision of hair to the future. So when I found out that that I was selected to go to Toronto with him for a hair show, I was honored. We went right to work on creating a vision. He came up with the concept of facet cutting. 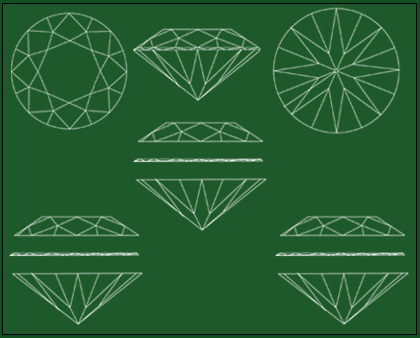 Facet cutting is a way of shaping diamonds into geometric shapes. I started working on translating these patterns into hair color technique. It wasn’t working at first but then I got an idea. I thought, “Why not deconstruct the pattern to go with the shape of the head?” It was great as the patterns worked perfectly and the color result was amazing. It’s important to always think outside of the box. It started out as a simply cut and I was able to take it to the next level. Inspiration is everywhere so I always keep my imagination going so there are no limits and no more excuses. To book a hair color appointment with Paola Veron or book a spot at one of the Cristiano Cora Studio/Davines creative color classes, please call Cristiano Cora Studio at 212.414.1333.